I am a HUGE fan of Kasie's work and was super excited to finally get to sit down with this one. I've been really good this year about not running out and buying every book every, so I patiently waited on the library list for this one. I liked Lily from the very beginning. She's quirky and talented, and also a little clueless at times. The intrigue of a penpal is an adorable premise and I loved the suspense of the whole situation. Reading the letters that the two of them wrote to each other and how they opened up in words was so sweet, and a great part of the story. At some point before reading I'd actually read a spoiler about who the penpal was, so I was little more open-minded when it came to his behavior toward Lily. Not that it was excusable, but once we get to know him, Cade is a sweet, albeit troubled, guy. I really loved how he got under Lily's skin and how she tried to ignore him and it didn't work. I think this story has your typical drama and your typical mean girl (ugh, Sasha) but it also has a lot of other great characters that play a great part in this story. 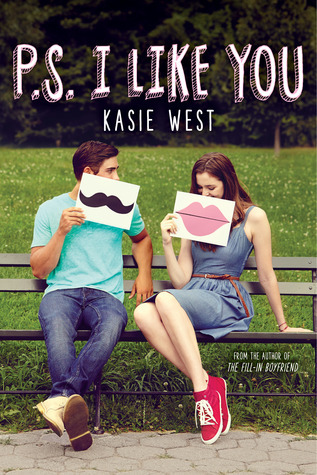 This is definitely one of Kasie's best and it gave me all the feels.